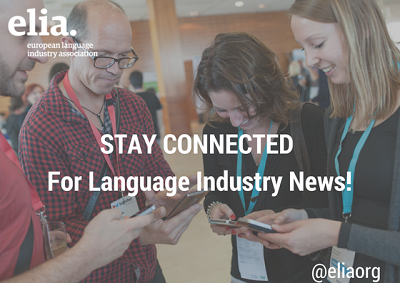 Elia is committed to creating events, initiatives and providing information that is highly relevant to the language industry. Our activities are of interest to the wider language community and our members, and we aim to keep our audience informed whilst adhering to the GDPR* requirements. GDPR came into effect on the 25th of May 2018. These regulations bring together and update existing data protection regulations within the EU, ensuring they reflect how companies now engage with data and digital developments. This will mean EU citizens have more control and transparency when it comes to their data. * The General Data Protection Regulation (GDPR) is a legal framework that sets guidelines for the collection and processing of personal information of individuals within the European Union (EU).